Nobody Quartet Then & Now! Back in the late ’70’s I was fortunate enough to be a part of a very special group of folks while attending Doane College. Even though I was a Jr. College transfer these folks let me in to make music together. The Noboby Quartet was quite the phenomenon back in the day. We would perform along with other Doane groups on concerts, travel with President Heckman to his speaking engagements, and ended up with our own final concert in Heckman Auditorium. 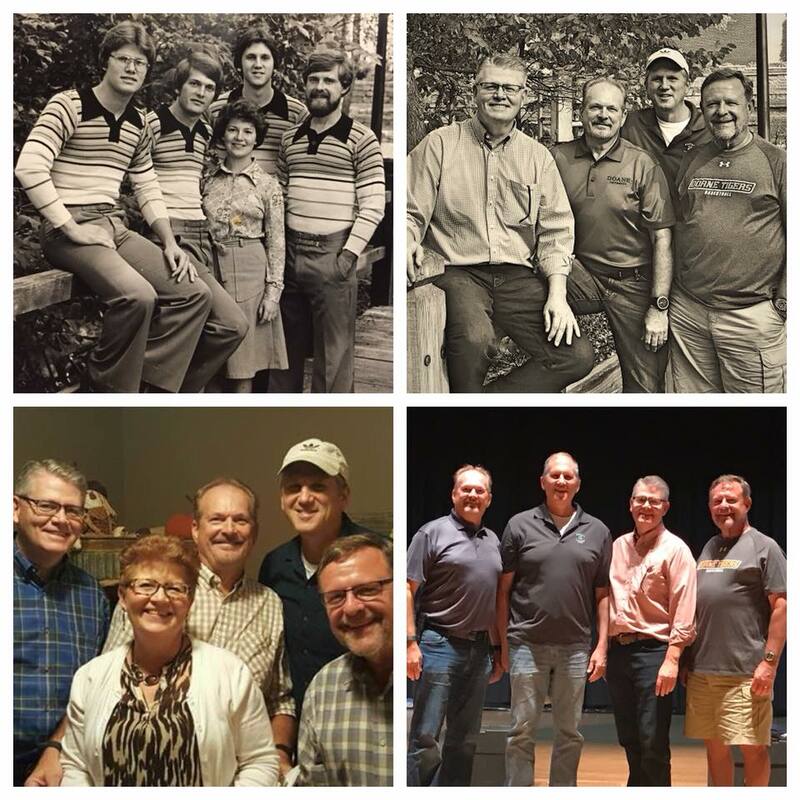 Thanks again to Suzanne Phillipi, Mark Butler, Fred Helmink, Mark Hecox, and our other great friends in music, Mike & Karen Morris, Ron & Sue Rickert, and Kyle & Carrie Helmink for a memorable reunion at Doane. Looking forward to meeting again for our ’40th reunion next year.